Creamed the butter and sugar then added the mashed bananas, eggs, vanilla then dry ingredients. 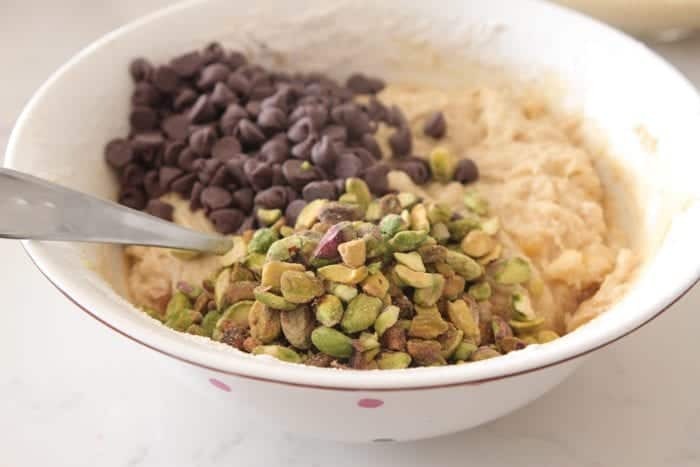 Now is when you’ll add some chopped pistachios and chocolate chips. I used semi-sweet for my bread. Time to bake! 350 degrees F. for45-55 minutes, until baked through and golden on top. I like to use loaf pans to make my breads. There are a few different sizes to choose from. 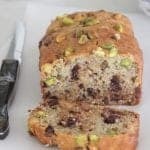 You can use a 4 cup, 6 cup, or 8 cup loaf pan. 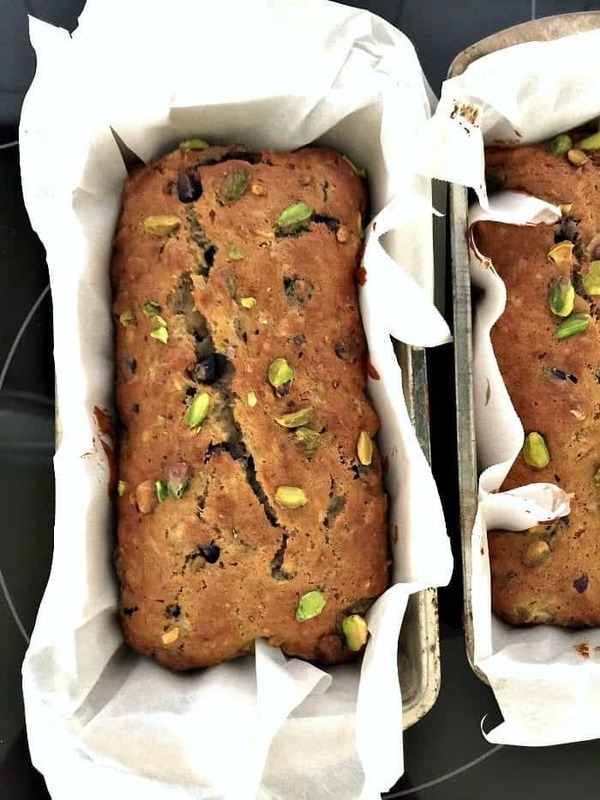 It’s nice to have one small and one large loaf pan for different recipes. It’s great refrigerated too. Enjoy! I like to serve this recipe with a nice fruit bowl. Nice and simple. Make your bread the night before so you can slice the day of serving. 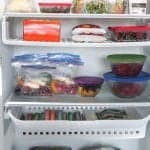 Store any leftovers in an airtight container either room temperature or chilled in refrigerator. 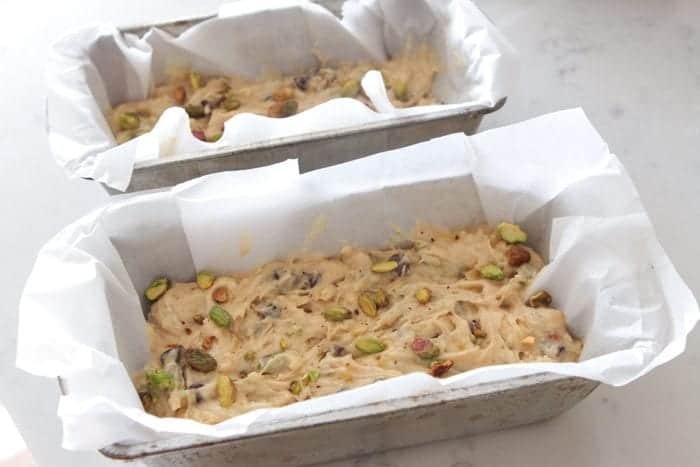 Preheat oven to 350 degrees F. and line 1 large loaf/bread pan or 2 small loaf/bread pans with parchment paper. Cream butter and sugar until well combined. 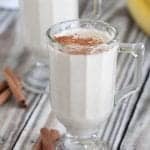 Stir in bananas, eggs and vanilla mixing to combine. 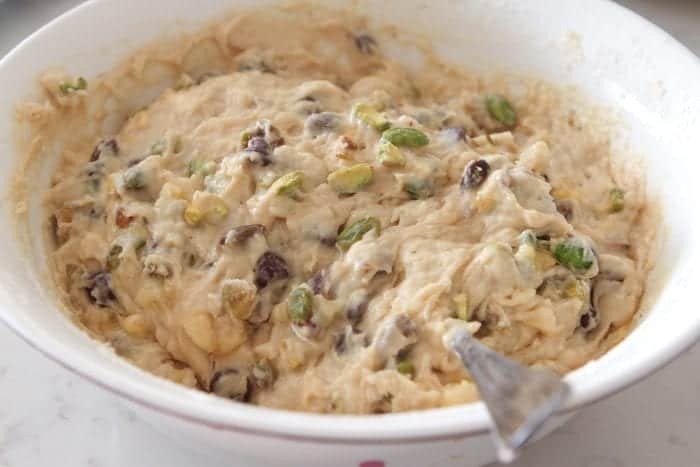 Stir in flour, baking soda, salt, chocolate chips and pistachios. 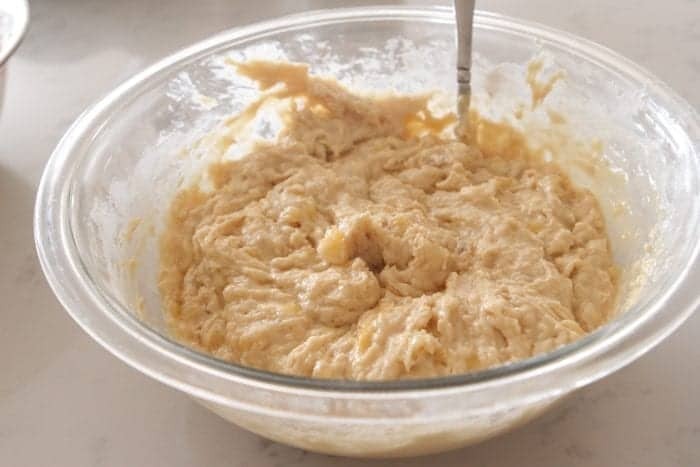 Stir until combined and transfer to loaf/bread pans. Bake for 50-55 minutes or until baked through. Let cool completely then cut into slices. This looks perfect!! I love the pistachios! 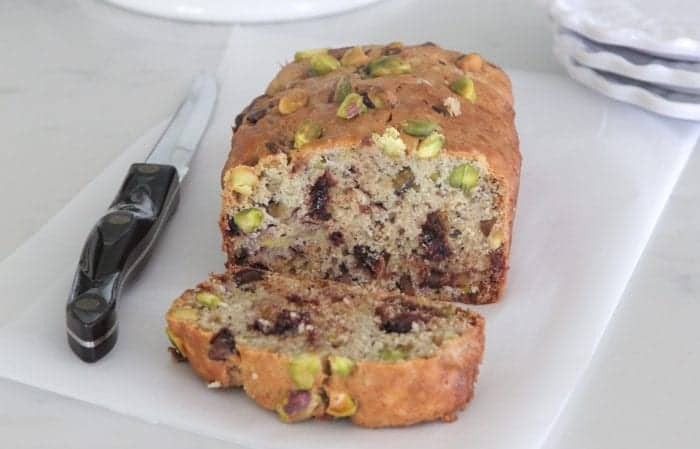 I’m all about quick breads these days…this recipe looks wonderful! 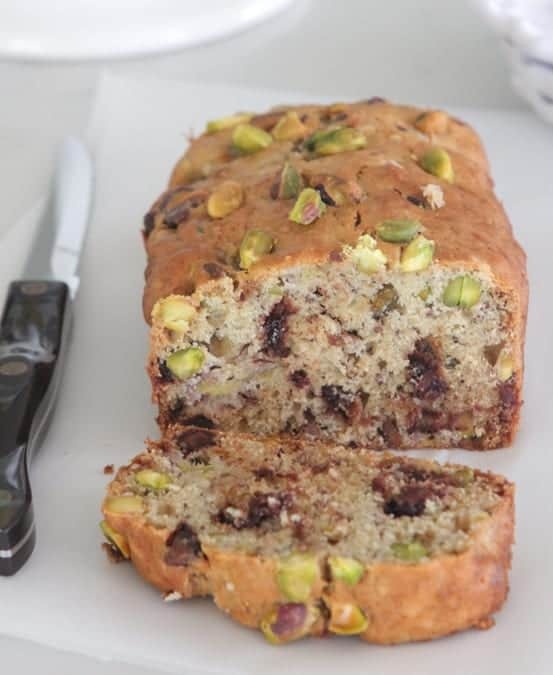 I’m a sucker for banana bread – loving the pistachio in it! 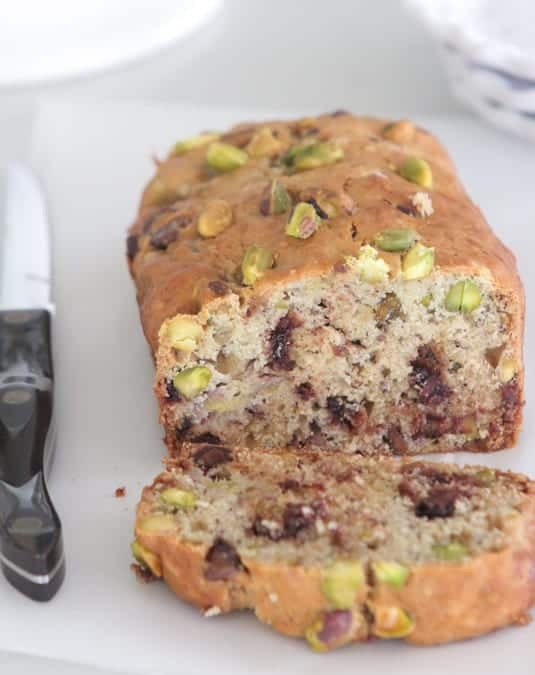 What a fabulous quick bread! So many flavorful ingredients combined… looks delish!! 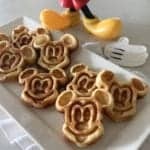 oh yum!!! I love this combo! 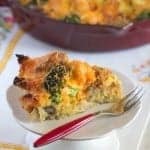 I had no idea this was a cooking light recipe until now. It doesn’t taste low in fat at all and it’s really good. 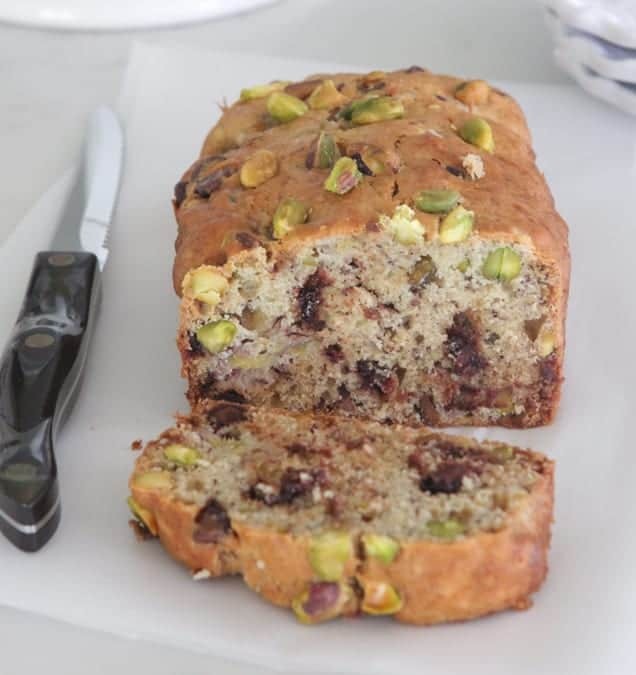 I love banana bread and I really love pistachios, so I had to try this.